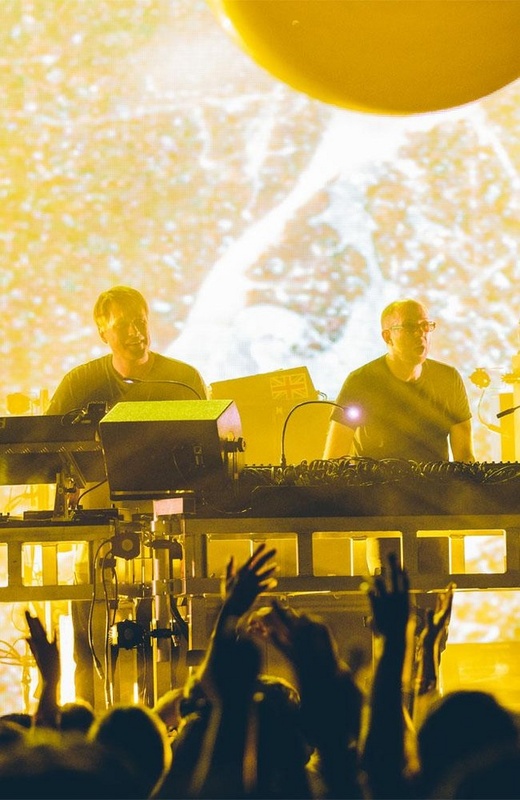 Chemical Brothers live at Apple Music Festival. Turn off your mind relax and float downstream – The Chemical Brothers remix of ‘Tomorrow Never Knows’ plays out to an empty smoke-filled stage. It’s good advice. Just go with it. Over the next almost two hours, your senses are going to get blasted. Tom Rowlands has toured without his Brother partner this year, as Ed Simons is concentrating on his studies. Entering the stage with visual collaborator Adam Smith, they’ve got their arms above their heads clapping the crowd, still appreciating and loving what they do, after all these years. 1995. That’s when the Chemical Brothers released ‘Exit Planet Dust’. Two decades and eight albums later, what better way to kick the night off than with crowd-pleaser and start-as-we-mean-to-go-on announcement ‘Hey Boy, Hey Girl’. The build to Here we go! is immense, combined with a green laser show replete with clouds, the bass hasn’t worked so hard since boys’ car soundsystems in the 90s, combining to push you to the point where you’re practically begging for the drop just for a bit of a release. It feels like every moment in every song, every point of light, every animation and every giant robot is working to take you somewhere, recalling the first time you took that step into that club, the best moment of your life elation, and at points, that time when it all got a bit dark and moody. It’s not just a gig, it’s a full scale production that’s trying to get at you any which way it can. And it can. 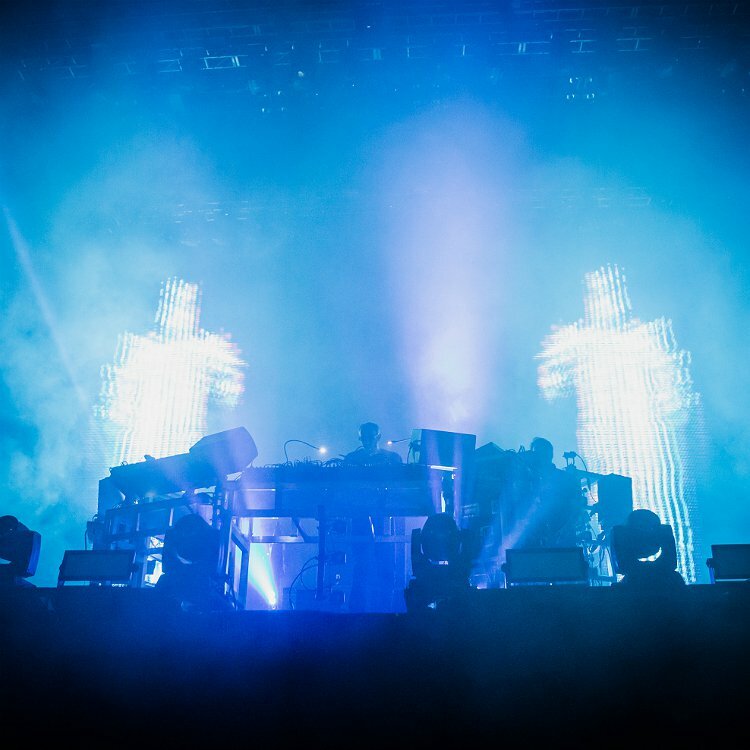 There’s even a synth solo in the career spanning set that’s not only covering The Chemical Brothers’ lives, but recalling moments in music that combine to make something new and electrifyingly big beat with hardly any nods to any developments in dance music – like trap or dubstep – that have happened on their way. Two encores finish the night, the last song ‘The Private Psychadelic Reel’ is accompanied by giant stained glass windows and a stream of revolving lights from the stage floor. It really does feel like you’ve been through something. “The future, I’ll see you there” – as they say on their new album ‘Born in the Echoes’ – and they’ll continue to define their music on their own terms.